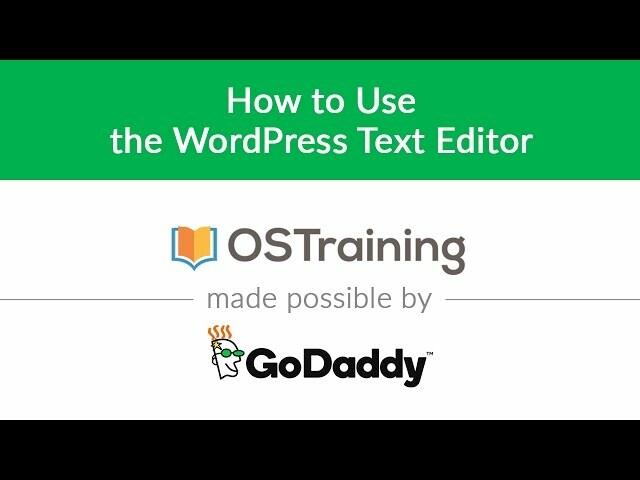 Welcome to the WordPress Beginner class from OSTraining. In this video, Topher introduces himself and WordPress. WordPress is the most powerful and flexible website builder in the world. And it's completely free! 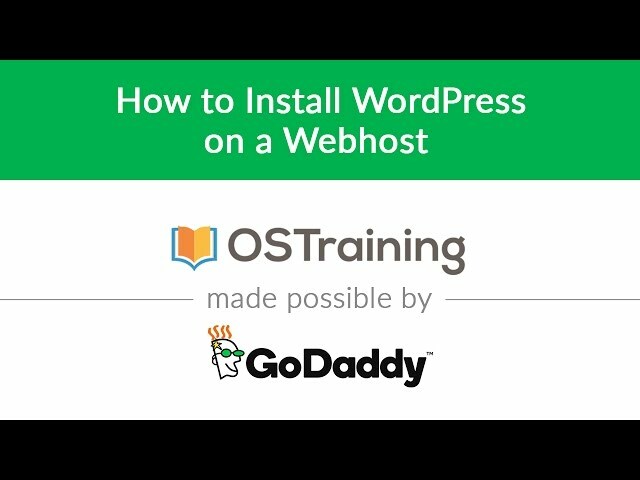 In this WordPress Beginner going to be using http://wordpress.org which allows you to download and build your own website on your own server. We are NOT going to be using http://wordpress.com which hosts the site for you. You're going to have a lot of fun in this class. Follow along with these videos and you'll build a website for a city called "Wordville" with a homepage, a footer, sidebars with promotional information, user information, news, menus, multimedia and much more. You'll see how to build beautiful WordPress galleries, embed media from Twitter, YouTube and Google Maps. WordPress Beginner Tutorial #3: Why Choose WordPress? In this video, we explain why you should choose WordPress. Out of all the website builders in the world, why is WordPress the best? First, WordPress is free. Not only does it come at no cost, but it's license also makes it free. No-one can restrict what you can or cannot do with WordPress. Second, there are excellent hosting options which make it easy to run your WordPress site. Companies like GoDaddy make it easy to install WordPress and make it run quickly and safely. Third, WordPress is easy. It's super simple to write posts, add images, and express yourself. Fourth, WordPress has many, many extra features available. The Plugin Directory at https://wordpress.org/plugins/ has over 45,000 free plugins. Fifth, WordPress looks beautiful. There are over 4,000 themes available at https://wordpress.org/themes/, plus there are many commercial theme options: https://wordpress.org/themes/commercial/. You can also build your own WordPress theme with a framework such as https://underscores.me/. Sixth, WordPress is under constant, active development. WordPress 1.0 came out in 2004 and there have been regular releases ever since. This means that WordPress continues to get better. Finally, WordPress is popular. This means that many people and companies depend on WordPress, so they put a huge amount of time and energy into making it great. There are a wide variety of ways to install WordPress. Some hosts have a system that allows you to install WordPress automatically. 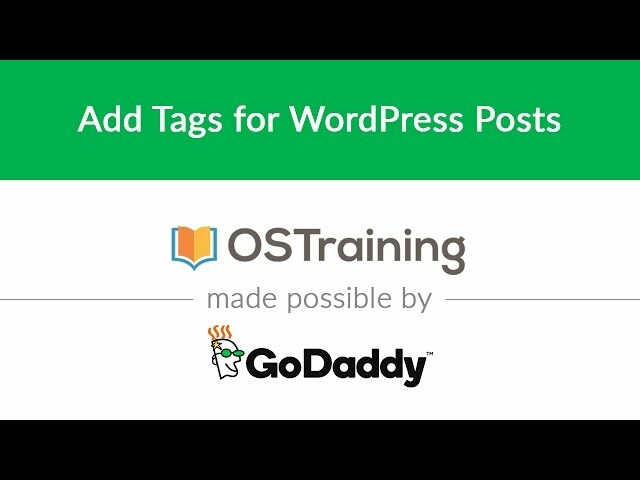 In this video, we'll walk you through the process of installing WordPress automatically at GoDaddy. You can choose a domain name, and also a data center (North America and Europe). You can also create a WordPress username and password during the installation process. After the installation, you can go directly to the WordPress admin area. On the other hand, GoDaddy also provides a set-up wizard which allows you to add your address, social profiles and other information. Plus, you can also design your site. You can also use the Customizer that we discussion in Lesson 25. In this video, we take a look at installing WordPress on your own machine. There are quite a few reasons for doing this including speed, ease-of-use, low-cost and security. Plus, you don't need an internet connection so you can work offline. We recommend Desktop Server which is available at https://serverpress.com and designed specifically for WordPress. In this video, Topher shows how to install a WordPress site using Desktop Server. You'll also see how to remove a site when you no longer need it. Let's start learning how to use WordPress. You will need a WordPress site to follow along from this point. In the previous two videos, we showed you options for installing WordPress. To login, go to /wp-login.php. Some themes may have this set up for you. Enter your username and password. When you login, the first thing you see is the WordPress Dashboard. There's an "At a Glance" box that gives you important statistics about your site. There's an "Activity" box which shows recent posts and comments. There's also a "Quick Draft" box where you can start the draft of a blog post. At the top of the box is "Screen Options" which allows you to control what's on the dashboard. The Dashboard can be an extremely helpful tool for monitoring your website. In this lesson, we're going to look at posts in WordPress. WordPress started as a blogging platform, so it's excellent at creating blog posts. This class is building a site for a city called "Wordville", so we're going to use blog posts for news items. - Go to Posts, then Add New. - Enter a Title, "New Construction Project"
"There was some big news in Wordville recently. Construction of a large project called W3 was finished." On the right-hand side of the post screen, there are a "Publish" box, a "Format" box to change settings for your post. There's also a "Categories" and "Tags" box that we'll explain in a later video. Finally, there's a "Featured Image" box which can associate an image with your post. If your computer shuts off, or you close a tab accidentally ... don't worry. WordPress automatically saves your post every 60 seconds. These are in the "Revisions" feature. The "Excerpt" feature allows you to create a short summary of your post. "Custom Fields" is a useful feature, but not all themes support it. "Comments" allows you to enable or disable comments for your post, and you can reply directly inside the WordPress admin. In this lesson, you'll understand how posts look on the front-end of your website. If you click "All Posts" you'll see an overview of all the posts on your site. You can filter to find only certain posts. You can also use "Bulk Actions" to modify the posts. By default, WordPress sites have a blog on the homepage. All the posts will automatically appear on this homepage, with the latest posts on top. You can also drill down to see posts inside a particular category, or posts with a certain tag attached. Each post shows the title, author, category, publishing date and more. In this video, we're going to learn more about the WYSIWYG editor built into WordPress. The editor in WordPress is TinyMCE, which is used by many other platforms. The text editor allows you to control the text formatting, including headings, bold text, italic text, bullets and much much. The editor also has alignment options. The link feature in the WordPress editor is powerful. You can select text and easily add a link. At the end of the text editor bar is a "More" button, which opens up a wide range of extra editing features. These features include "Paste from Word", color options and special characters. Categories can help you organize your WordPress content. Categories can also your visitors to find the content they're looking for. In this video, Topher has a post called "Local Events Continue to Increase". On the right-hand side of the post is a box called "Categories". By default, there is a category called "Uncategorized" because WordPress must have a category. Click "Add New Category" and you can create new categories for your posts. If you assign your post to a new category, WordPress will show the new category when you view the post. It is possible to have child, nested categories. One example would be "Music" as a child category of "Events". Click "Categories" in your WordPress admin menu, and you can manage your site's categories. In this video, we're going to look at WordPress tags and how they are different from categories. Topher is using a sample post with the title "Classic Rock Concert In the Park!" The text in the post is, "This Tuesday we'll be showcasing some of the greatest bands of the 60's and 70's. Be there or be square!" - Tags have no parent / child structure. - Tags also do not appear on the site's frontpage ... you have to visit the main post page to see the tags. - Tags make it easier for Google and visitors to find your content. In this video, you're going to learn about comments in WordPress. Every WordPress post has a comments area to allow users to discuss the post. WordPress comments will appear differently, and have different permissions, depending on whether or not you're logged in. Comments can be managed from the WordPress admin area. You can approve or delete them from underneath each post, and also from the "Comments" menu link. You can click on the IP address of a commenter, to see all the comments they have left. This can enable you to find spam comments.